A human body is made up of a complex network that is interconnected with the different parts of the body. This explains why the functioning of one part of the body can have an effect on the other parts. Poor oral health often leads to several serious diseases that can affect your overall health. A person’s mouth is filled with different kinds of bacteria. Most of these cause no harm or cannot be considered a threat. Giving proper care to your oral health by flossing, brushing and using a mouthwash regularly can keep these bacteria at bay. Lack of oral hygiene could lead to bacterial infections that result in cavities, decaying tooth causing severe toothache, gum disease, and bad breath. The usage of certain medicines like painkillers, antidepressants, and decongestants could also affect a person’s oral health. Poor oral health could lead to diseases like diabetes, cardiovascular disease, and other health complications. Diabetes and gum diseases are often linked to each other. People who suffer from diabetes have gum diseases quite frequently and they tend to be severe too. A human body is more susceptible to infections when a person has diabetes. Hence your gums can be infected quickly. Gum diseases, in turn, give a difficult time controlling blood sugar levels. Periodontal care given by a good team of dental professionals at https://depacific.com/ can improve your dental health condition. People suffering from HIV and AIDS often have health problems in the form of chronic ulcers or mucosal lesions in the mouth. Giving birth prematurely and low weight of the baby has been linked to periodontitis which is a serious dental health issue. Gingivitis or infections related to a person’s gums could cause severe facial and oral pain. This could lead to the loss of your teeth as well. 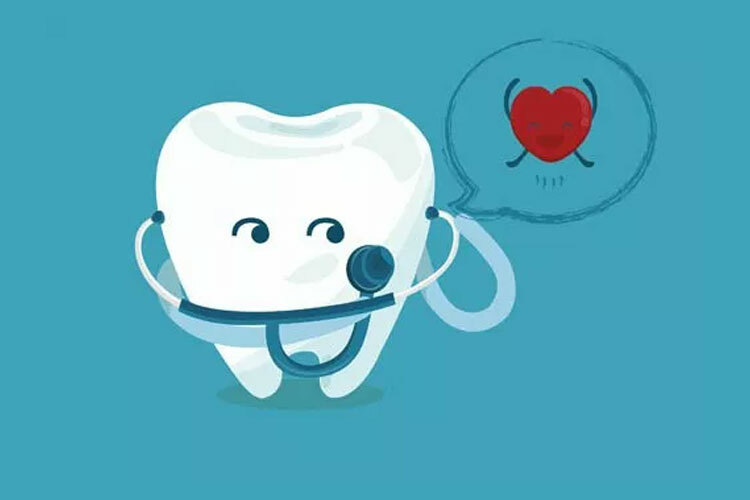 Studies have proven that certain infections caused by bacteria in a person’s mouth could lead to blocked arteries, certain heart diseases, and even stroke. Endocarditis is an infection that affects the endocardium or the inner lining of a person’s heart. This happens when the bacteria and germs from a person’s mouth travel through the bloodstream and attach itself to the heart. Proper digestion is directly related to good oral health as the chemical and physical processes that take place in your mouth is the first step to digestion. Poor oral health could lead to intestinal problems, constipation, acid reflux, and irritable bowel syndrome. A healthy diet is required for healthy teeth and your overall oral health. Make sure you brush your teeth twice a day and floss it regularly. Get rid of unhealthy habits like smoking and chewing tobacco. To ensure a good oral health visit your dentist on a regular basis to get your teeth cleaned and for oral examinations. This will help you detect oral health problems quite early and you can get it treated on time.